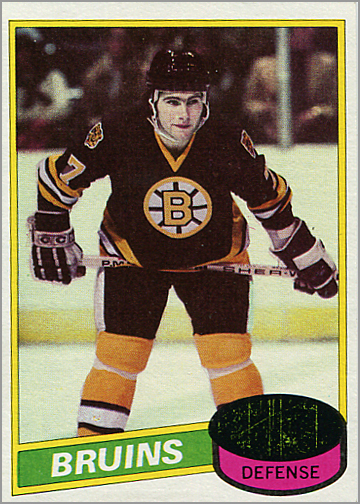 After producing no hockey card sets during the 1982-83 and 1983-84 seasons, Topps hockey cards made a comeback in 1984-85. That year, the company released a small, 165-card set. 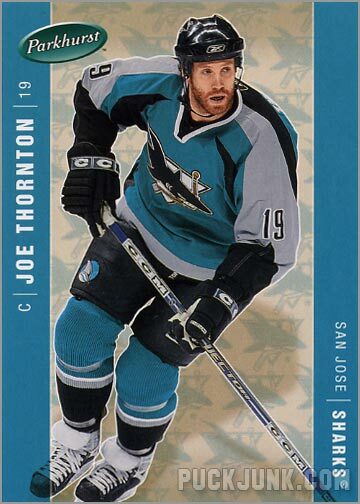 Considering that Topps’ annual baseball set had 792 cards, while their football set had 396 cards, putting out a hockey set with only 165 cards was a very conservative approach. 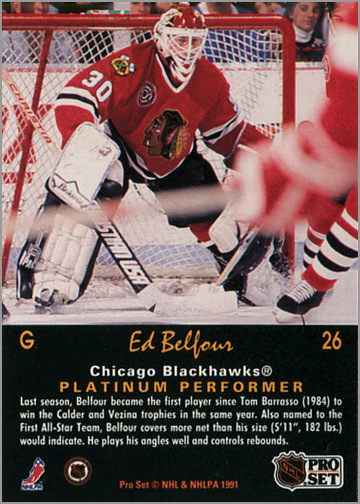 Between the small set size, the set’s relative overproduction and the maddening amount of single-printed cards, the 1984-85 Topps set is perhaps the most disappointing hockey set of the 1980s. 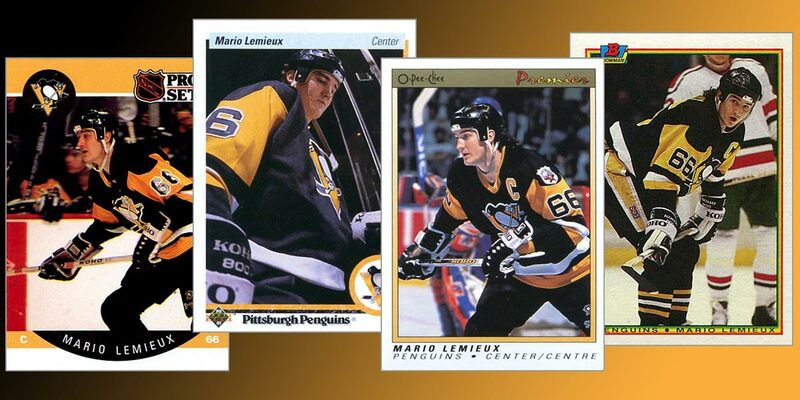 Twenty-five years ago, the hockey card market grew exponentially when three new companies — Upper Deck, Pro Set and Score — joined Topps and O-Pee-Chee, bringing the number of hockey card manufacturers to five. Not only that, but Topps issued a second set of cards, branded as Bowman, while O-Pee-Chee released a set called O-Pee-Chee Premier, giving collectors a total of seven hockey sets that season. 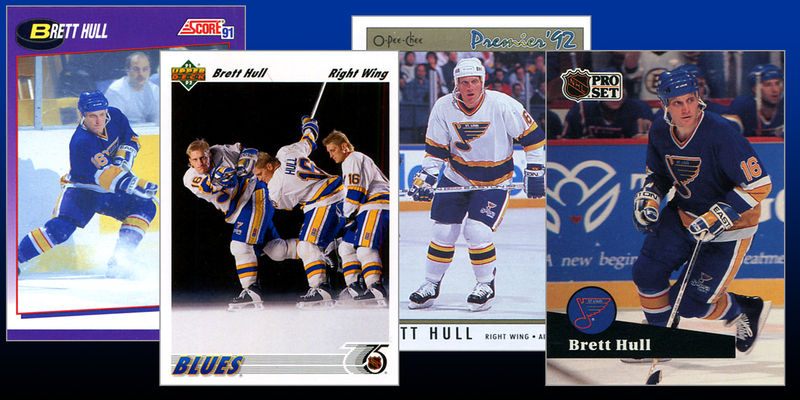 The year 1990 was clearly the start of the “hockey card boom.” No longer were hockey cards just the stuff of specialty shops; now every grocery, drug and convenience store carried hockey cards. 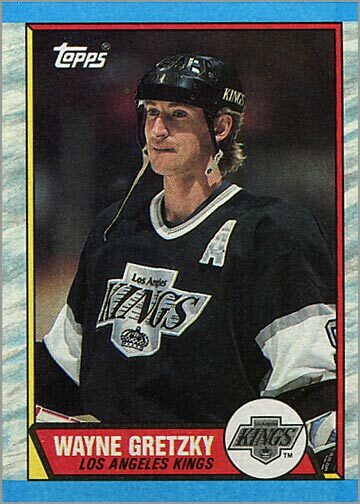 Likewise, practically everyone saw hockey cards for their investment potential, hoarding cards of hot rookies as well as established players. The increased revenue even led to the NHL Player Strike of 1992. But overproduction, along with the decline of the market in 1992, led to 1990-91 sets plummeting in value. 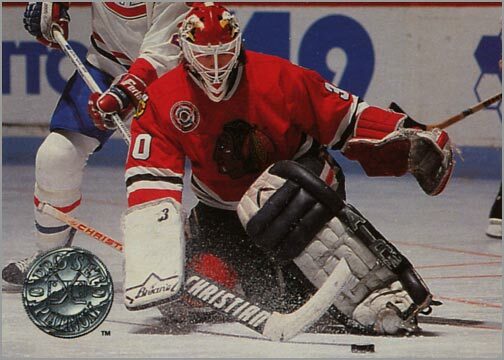 Looking back a quarter-century later, it is easy to dismiss the entire 1990-91 season as “junk wax.” Yes, the companies printed tons of cards and flooded the market. Even 25 years later, you can find unopened boxes of 1990-91 cards for around $5 and complete sets for $10 or less. It is kind of sad that newer collectors can buy the cards from my childhood for less than what they actually cost during my childhood. Just because those sets are “worthless” doesn’t mean they aren’t worthwhile to have in your collection…assuming, of course, that you don’t already have them. And maybe you don’t. 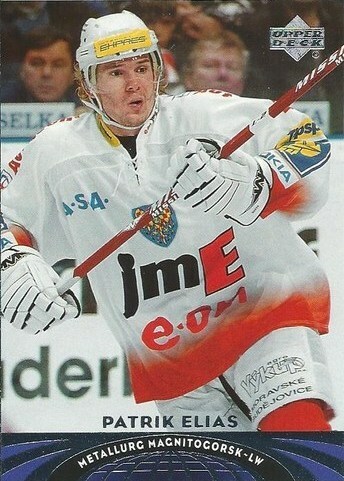 Perhaps you are a newer collector, or maybe you didn’t bother with hockey cards in 1990-91. Today, you can pick up a hearty dose of nostalgia, history and rookie cards for less than what a blaster box costs. That said, here is my ranking of every 1990-91 hockey set. Those of you over 30 can feel free to disagree. It was the end of an era as we knew it. Actually, it was the end of several eras. The 1989-90 Topps Hockey set marked the last time that Topps was the only game in town when it came to hockey cards in the U.S. It was the fourth, and final, year in a row that Topps issued a 198-card hockey set. And it was the last time Topps would crudely alter photographs of players who were traded over the summer. If any set could represent the end of an era, it was this one. 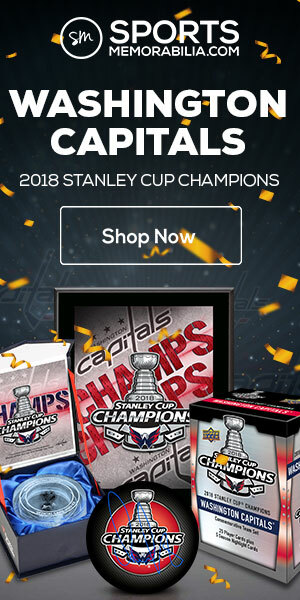 Next year, the marketplace would expand, Topps would be overshadowed by newer companies making slicker products, and hockey card sets would balloon to upwards of 500 cards each. So, let’s take a look back at 1989-90 Topps Hockey, and long for the days when a collector could build an entire set from only one box of cards. 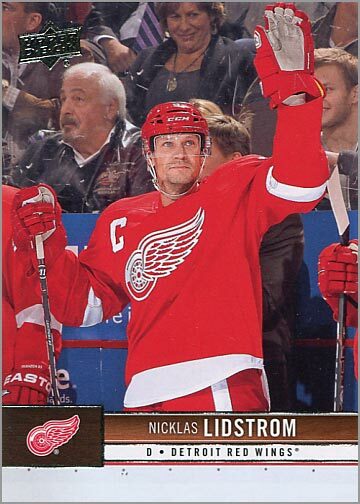 You would think that it would be impossible for me — a die hard hockey card collector — to hate a set of hockey cards. 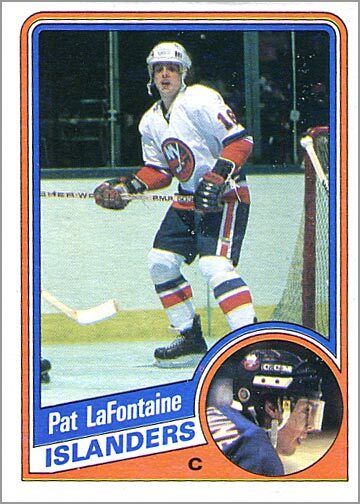 But there is one set that still makes me mad every time I think about it: the 1980-81 Topps Hockey set. Patrik plays Charades. His card reads: Snowman on fire. The homeless scuffle over crumbs, the poor haggle over bites, and the millionaires and billionaires? The latest NHL lockout is proof, once again, that we’re just people and pie. No matter the size, there’s always going to be a fight for a larger slice. With that in mind, whenever the NHL starts play again, I’ll be back. Castigating men for greed is better left to a monk. What I do hope is that this lockout produces a curiosity as memorable as this one from hockey’s last nuclear winter. Milan Hejduk looks as befuddled by this color “scheme”—”scheme” implying actual forethought—as many collectors were when Upper Deck released 2004-05 All-World. 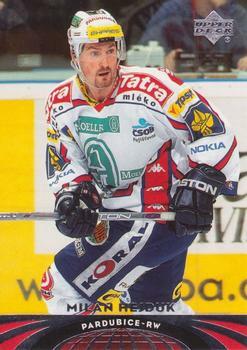 In the midst of a lockout that would eventually see the entire season wiped out, a number of NHL stars played overseas to stay in shape and in the black. 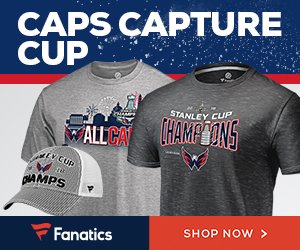 Upper Deck capitalized on the now apparently once-in-a-decade opportunity to capture familiar stars in unfamiliar surroundings. The next innovation in mobile advertising: QR codes on uniforms. Scan your man for a buck off a Big Mac. 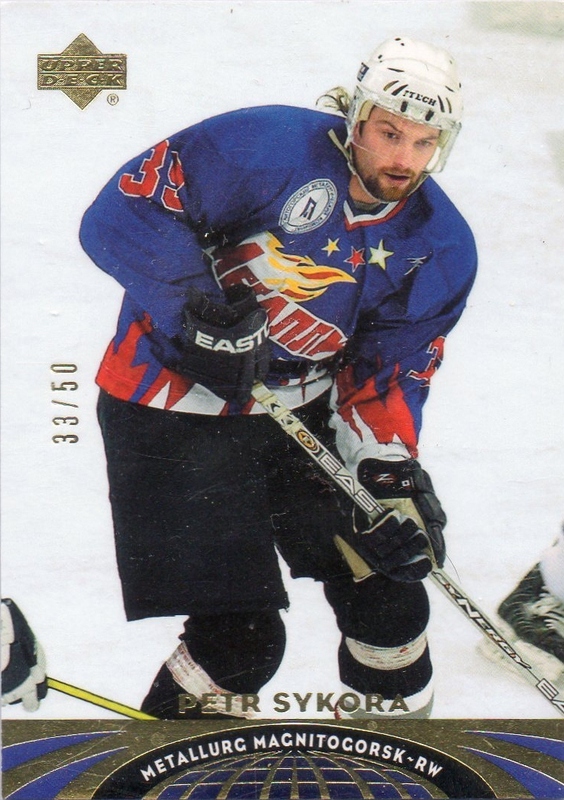 The garish 90-card base set, which is made up mostly of stars who went overseas such as Jaromir Jagr in Russia and Joe Thornton in Switzerland, is also peppered with retired European legends like Hakan Loob and Vladislav Tretiak in club uniforms. Supplementing the base set is Up Close & Personal, a shortprinted 15-card subset of North American stars in mostly awkward studio shots, seemingly an excuse to shoehorn Wayne Gretzky and Gordie Howe into the set. 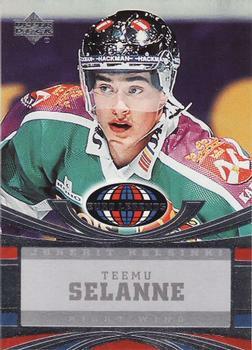 Following that is the far more appropriate Euro Legends, another shortprinted 15-card subset which closes up on European-trained stars, past and present, like Teemu Selanne, Jari Kurri, and Tretiak. As for inserts, each of the 90-card base set has a Gold parallel serial numbered to 50. About half of the 90-card base set also has a parallel autograph, highlighted by an affordable Tretiak signature. 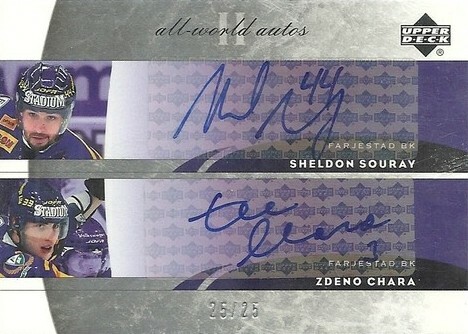 Ilya Kovalchuk, Henrik Zetterberg, and Rick Nash head an extensive shortprinted autograph list. Is Joe actually trying hard here or did he just trip? Discuss. Even more shortprinted are the parallel autographs of the Up Close & Personal and Euro Legends subsets. 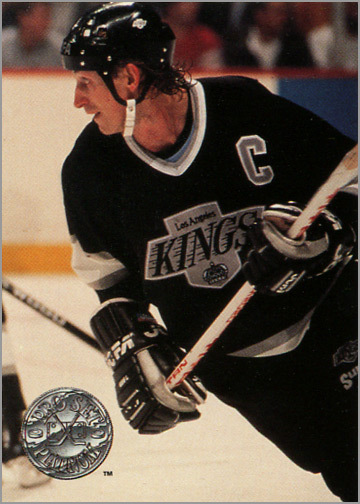 Serial numbered to 10, this is where collectors can be grateful to the company for shoving Gretzky and Howe in. 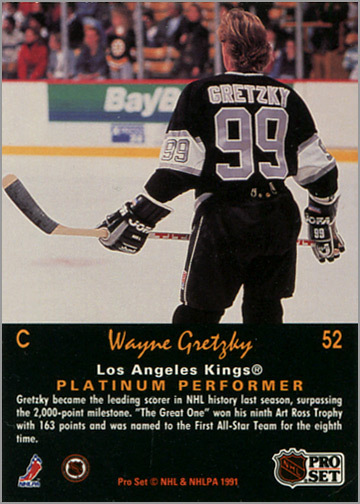 However, not every player in the subsets has a parallel autograph; besides Gretzky and Howe, you can also hope to pull, among others, Nash, Martin St. Louis, Kurri, Tretiak, and Igor Larionov. Finally, there are Dual (serial numbered to 25), Triple (serial numbered to 20), Quad (serial numbered to 15), Five (serial numbered to 10), and Six (serial numbered to 5) Autographs featuring combinations as fitting as Marian and Marcel Hossa and as spectacular as Thornton, Nash, St. Louis, Dany Heatley, Daniel Briere, and Alex Tanguay. Boxes, if you can find them, go for about $35, and contain 24 packs with 6 cards each. With that, you should easily complete one base set. Expect, on average, three cards each from the Up Close & Personal (1:8 packs) and Euro Legends (1:8 packs) subsets, and one autograph card (1:24 packs) from a box. 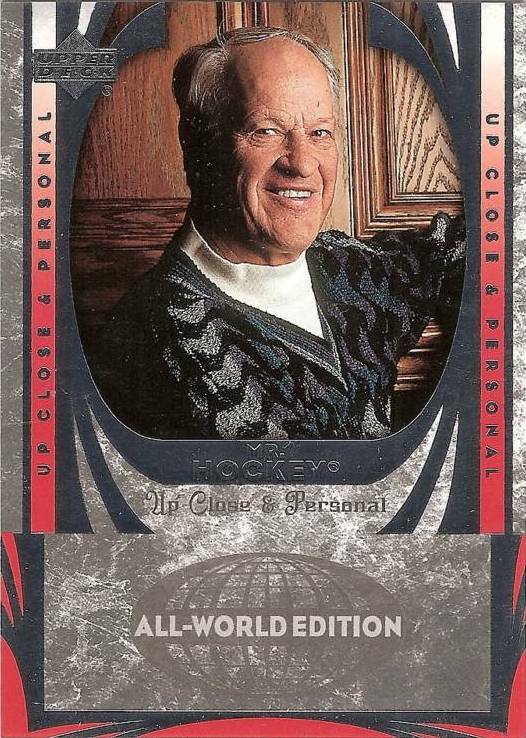 2004-05 Upper Deck All-World was a rushed and unimaginatively executed concept, but truly one-of-a-kind as the hobby’s only documentation of the lost season. 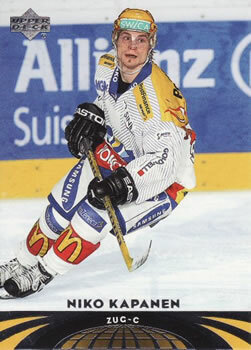 The strange garb the stars donned was a sobering contrast to the many retro sets released that season. In the Game’s Franchises and Upper Deck’s Legendary Signatures and Legends Classics were popular, mostly well-crafted love letters to the NHL’s past, while All-World was an unpopular reminder of the reality of big business in hockey. 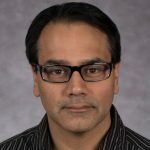 This reality, of course, is being repeated as we speak, and one can only hope that 2004-05 Upper Deck All-World is a one-and-only-time snapshot of a major professional North American sports league canceling an entire season because of a labor dispute. But people and pie, that’s wishful thinking. 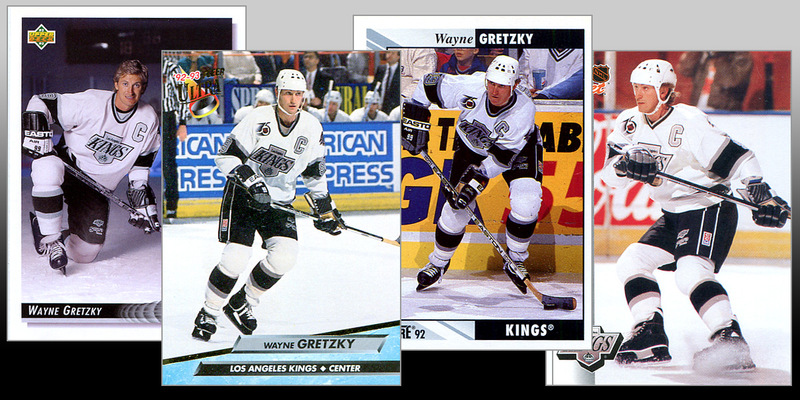 Sheng Peng is a Los Angeles Kings fan and has collected hockey cards since the 1990s. You can check out his blog here. Year-for-year and dollar-for-dollar, Upper Deck is the best hockey set a collector can buy. It’s combination of exciting action photography, broad player selection and desirable rookie cards make this a perennial favorite of causal and serious card collectors. Driving Upper Deck’s immense popularity for the past decade were its short-printed “Young Guns” rookie cards, where collectors can hope to pull a card of one of the top new rookies for the season.